I’m so happy to have been invited to join the one item challenge this year! Each Wednesday in November a group of bloggers will be given one item and are challenged to create a project. This week the item is twigs. I’ve created these easy to make Snowy Twig Homemade Christmas Ornaments. I actually had some help with this idea! After learning to use the Bow-It-All our exchange student Katharina had the idea to group the twigs and adorn them with one of the cute May Arts Ribbon silk bows. Snip twigs from a tree approx 8″ long. Group 6-8 twigs together wrapping the cut end with a small piece of craft wire approx 1″ down from the top. 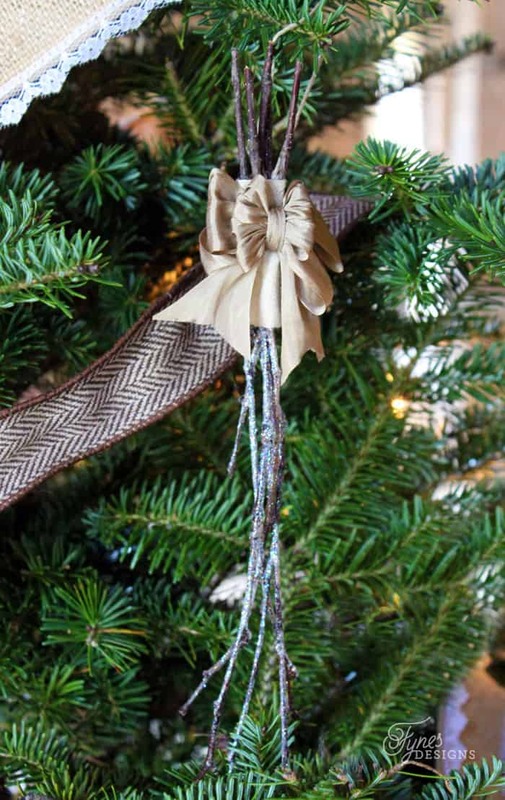 Add a small piece of looped twine for hanging your twig ornaments. Cover the wire wraps with a small piece of 2″ Natural Cotton ribbon overlapping on the back side. 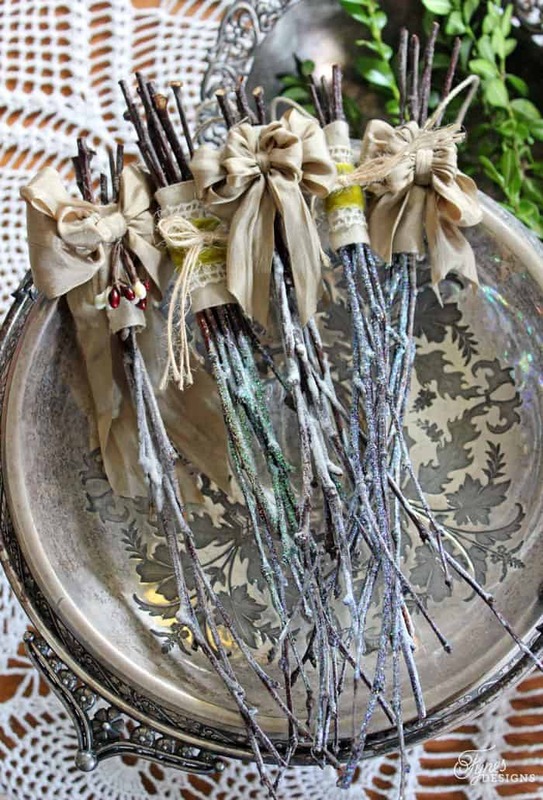 Brush twigs with Mod Podge and sprinkle with white glitter. Hang to dry. 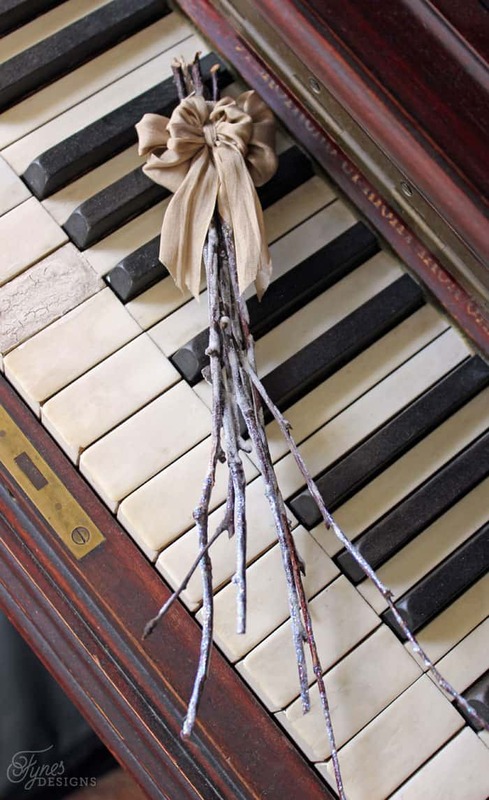 Once dry, embellish the front side of the twig ornament with a ribbon bow. These snowy twigs look great dangling on the Christmas tree. They are a really affordable idea for Christmas tree decorations! 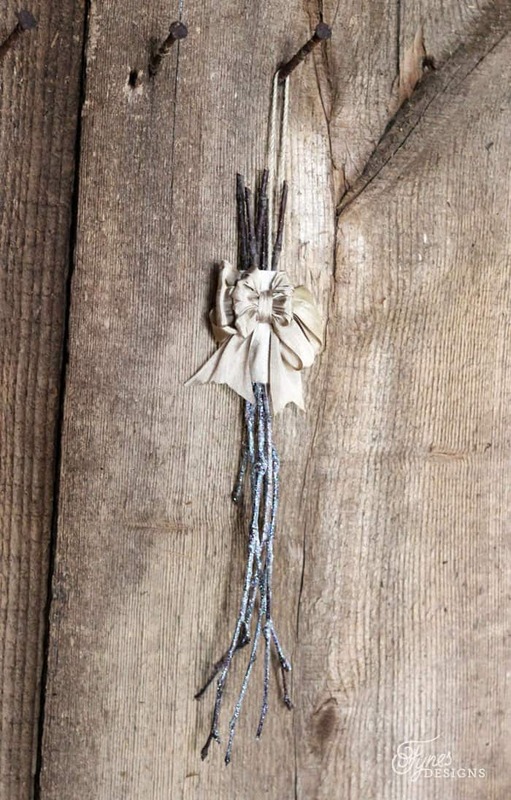 These easy to make twig ornaments add simple a rustic touch to your holiday decor! Please join me next Wednesday to see what the One Item Challenge team is working with next, I can’t wait! Week Two (Nov. 12)- ? Week Three (Nov. 19)- ? Oh WOW Virginia! Love it!! Love the sparkle too!! So pretty! This is such a great idea…so simple and yet it would be such a great addition to a woodland themed tree…:) good job! Love how they’re all a bit different, and that ribbon is gorgeous. A bunch of them on the tree would look so pretty. Thanks for playing along! Simple and easy; love it! Lovely!! Such a creative idea Virginia, and simple enough that you could do it with your family as well. Found your link at DIY Sunday! These are lovely! 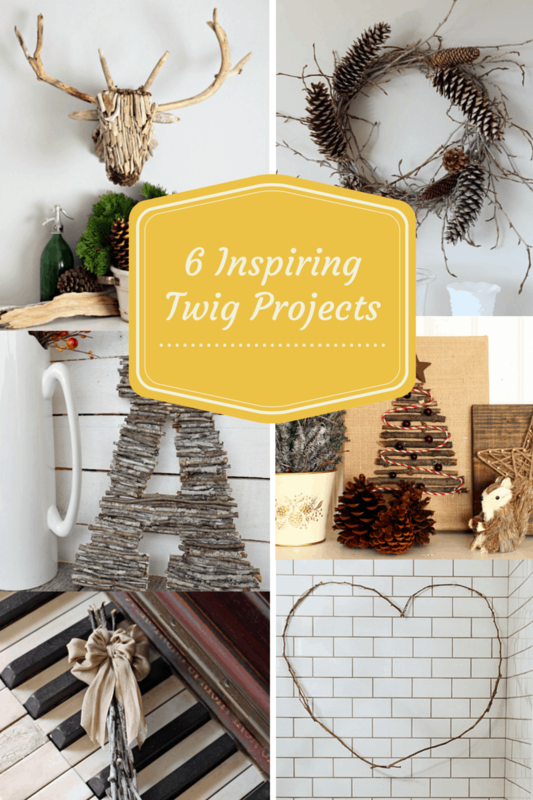 I have become intrigued with twig decor. Not to mention that one just has to go outside to collect plenty of materials to use! This project is on my to do list. Awesome Linda! This is such an easy craft, I love repurposing things in nature!